The nature of viruses, bacteria, and other living organisms is to adapt and change. There are also a large number of diseases and illnesses being discovered, which could endanger the human health and lifestyle. As such, medical scientists, who are also known as biomedical scientists, are professionals who conduct research on diseases, and on the viruses and bacteria that cause them, in order to develop vaccines and medications to improve overall healthcare practices. Medical scientists are trained to conduct research and carry out clinical trials in the quest of improving the overall health of humans. Clinical trial procedures are conducted on volunteer test groups or individual subjects to see how various drugs interact with their systems. Research is also carried out on the life processes of viruses, bacteria and other infectious living organism, which affect human health. All of this is done in order to find new, more effective ways to cure or treat diseases by developing advanced diagnostic tools or new therapeutic strategies. Medical scientists work full-time and are found working in a variety of settings like hospitals, clinics and laboratories. They may sometimes have to work with dangerous biological samples and chemicals, and in these instances, precautions must be taken in order to ensure a safe environment. Are you interested in contributing to the body of medical science dedicated to improving human health? Do you have the emotional and intellectual stamina to not only complete advanced coursework to become a medical scientist, but to practice it as well? Do you have good writing skills and are you articulate? These are important skills to have because medical scientists need to communicate their findings and draft research grant proposals. How to become a medical scientist? Typically, a medical scientist needs to have a Doctor of Philosophy (Ph.D.) in Biological Sciences from an accredited college or university. There are some candidates, however, who choose to practice as a physician instead and therefore opt for a medical degree, such as the Doctor of Medicine (M.D.). Whichever route you decide to take, the first step is to attain a bachelor's degree in biology , chemistry, or in a health related major. Typical courses taken at this stage include life sciences, chemistry, physics and math. In addition, classes in writing and communications are very important because they will prepare students to write grant proposals and publish research results. The difference between the two routes is that while a Ph.D. program focuses solely on research methods, in dual degree programs students learn both the clinical skills needed to be a physician and the research skills needed to be a scientist. For those who seek a medical degree, they can expect to take courses in physiology, anatomy, microbiology, biochemistry, pathology, pharmacology, psychology, medical ethics, and medical law. They will also learn how to record medical histories, examine patients, and diagnose illnesses. Medical students must also participate in residency programs. Furthermore, if candidates wanting to become medical scientist wish to interact with patients by either administering drugs, gene therapy, or drawing blood, they must also be a licensed physician. Licensing requirements include passing a licensing exam. 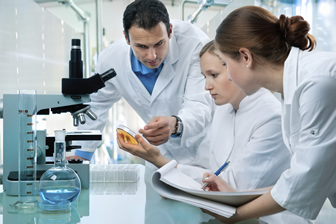 In addition to formal education, medical scientists also usually continue with postdoctoral work. This provides them with valuable hands-on training, lab experience, and experience in specific processes and techniques such as gene splicing. According to data from the U.S. Bureau of Labor Statistics (BLS), the average median salary for medical scientists in 2012 was $76,980. The top ten percent earned more than $146,650. Globalization and increased worldwide travel results in the spreading of diseases and may even give rise to new ones. This requires the work of medical scientists. Medical scientists are professionals whose services contribute to the development of treatments and medicines that improve human health. They are constantly carrying out research in the quest of understanding illnesses and diseases better so as to be able to treat them more effectively. How long does it take to become a medical scientist? 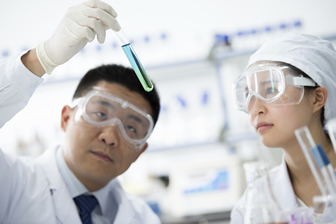 To become a medical scientist, you will need to get a Ph.D. in biology or a related life science. Some medical scientists opt for a medical degree instead of, or in addition to a Ph.D. You will first need to complete a four-year long undergraduate degree in biology or a medical health related major. A Ph.D. can take anywhere between three to eight years to complete. What are the requirements to become a medical scientist? Medical Scientists first need to complete the educational requirements, including a bachelor’s degree and a Ph.D. program. You will be completing a broad range of classes including life sciences, math and physical sciences. Common Ph.D. program options include Medical Doctor (M.D. ), Doctor of Dental Surgery (D.D.S. ), Doctor of Osteopathic Medicine (D.O.) and Doctor of Dental Medicine (D.M.D.). Following this, you might need to get a license in some cases – if you will be administering medications or gene therapy. You will also need to complete training before you can begin working as a full-time medical scientist. How much can I make as a medical scientist? According to 2017 data from the US Bureau of Labor Statistics, you can make $82,090 per annum as a Medical Scientist. 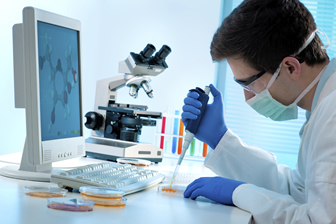 Q:What is a medical laboratory scientist? Q:Can you tell me what to do to become a medical scientist? A:Generally, an individual needs to have a PhD in Biological Sciences from an accredited institution in order to work as a medical scientist. If you want to practice as a physician however, you will need to get a medical degree such as an M.D or Doctor of Medicine. Whatever you choose to do, the first step will entail getting a bachelor's degree in a health related major. Q:Who is a medical laboratory scientist? A:A medical laboratory scientist is an individual with knowledge of biology and chemistry, and the potential to work in places such as hospital labs and clinics, forensic labs, industrial research labs, veterinary clinics and molecular biology labs. As a medical laboratory scientist, you will be required to analyze various forms of specimen from the body including urine, blood and tissue and aide the process of testing for and diagnosing dangerous diseases. Q:What do medical scientists do? Q:Where can I launch a medical scientist career? Q:How to become a medical scientist with just a high school diploma? A:Unfortunately, you cannot become a medical scientist with just a high school diploma. You must have a PhD degree. The first step is to complete a bachelor degree in any science-related field. You can then move on to entering a PhD program. It is also possible to pursue a dual degree program such as a PhD and a medical doctor degree, or a PhD and a doctor or dental medicine degree. Q:What are the skills needed by medical scientists? A:To become a competent medical scientist, one should have a broad set of skills alongside formal education. Since these professionals perform research, they must have strong analytical and research skills. Other skills needed for the career are: strong communication skills, decision-making skills, critical-thinking skills, observation skills, interpersonal skills, and data-analysis skills. Q:Can you tell me about the components of a medical scientist training program? A:Medical scientist training programs are typically MD-PhD programs. There are a number of colleges offering this program. This program is designed to prepare students for a role as a medical scientist. The curriculum may vary from college to college. Generally, the major components include: coursework, research, lab training, clinical training, thesis, and a dissertation. Q:Can you tell me what is the medical lab scientist salary? Q:What are the medical scientist education requirements? Q:What will I learn in a medical laboratory scientist program online? A:A medical scientist program will equip you wit in-depth knowledge of medical technology and science. You will learn how technology is used to conduct various medical tests. The program will typically include subjects such as microbiology, statistics, mathematics, anatomy and physiology. A certain portion of the program is dedicated to practical training and hands on experience.